Do it Yourself or Hire it Out? According to the U.S. Census Bureau, more than 40 million Americans pack up their belongings and relocate to new homes and communities each year. More than half of these moves take place between May and September. If you're moving or contemplating a move anytime soon, this newsletter is for you. Relocating to a new home can be one of life's most stressful events, even if the move is your choice. During these difficult times, many people have had to move for financial reasons and that adds a whole new emotional element. No matter what the circumstances of a move may be - whether it's next door, across town or across country - having an organized move is the way to go. It can make the difference between manageable short-term confusion and utter chaos that can affect your life for years to come. Professional Organizers and Senior Move Managers can be a tremendous help during times of transition such as a move and help you keep your sanity. Be sure to check out the Moving Calendar and the other helpful tips so that your next move can indeed be organized. It really is possible, I promise! Moving, whether across town or across country, is certainly a hectic time. The stresses of the move itself are usually coupled with worries about what life will be like in your new home. But moving can also be an exciting time of fresh opportunities. And it may help to remember you're not alone - one out of every five families moves each year. They survive the upheaval, and so can you. The key is organization, not only physically but mentally. A good place to start is with sorting through your belongings. Pare down your possessions by having a garage or tag sale or by donating to charity items you no longer need. Then decide whether to move your belongings yourself or hire professional movers. Each method has pros and cons, and both require comparison shopping. There are a million details that crop up before a move. Use this handy checklist to help you remember what needs to be done. Banks Close current accounts if they are not transferable and establish new accounts at your new location. Be sure your old bank has your new address. Insurance Notify your agent of your new address and discuss how your insurance needs may change with your move. For instance, you probably won't need as much coverage if you're moving from a house to an apartment. Utilities Establish cut-off dates and give your forwarding address to all utilities and services including telephone, cable TV, electricity, gas, water and garbage removal. Arrange for utilities to be started in your new home so everything will be working when you arrive. Medical Records Obtain records from your doctor(s), dentist, ophthalmologist or optometrist, and veterinarian. If you've already selected new health care providers, make arrangements to have your records sent directly to them. Delivery Services Arrange to discontinue home delivery of newspapers, milk or diapers. Recycling There are probably lots of items you don't want to move, from partially filled cans of paint to that old, broken refrigerator. Your community may have strict requirements relating to the disposal of these items, so check with your city or county to find out your options. Keep careful records and receipts of all moving expenses. You may be able to reduce your adjusted gross income (on your income tax return) by certain expenses if your move is work-related. Certain conditions must be met in order to take the deduction. Contact the IRS or your accountant for details. Use up as much food as possible in the weeks before you leave. Give what you don't use to a food bank or friends. Consider giving plants to friends or neighbors - they don't transport well. Making the Move: Do it Yourself or Hire it Out? The decision to move yourself or hire a professional moving company is based on several factors, including cost, responsibility for damage, the physical labor involved and your time-frame. Fully considering your options will help you make the best decision for you. Unless you're moving a very small amount, you'll likely need to rent a truck. While doing the move yourself (or with the help of family or friends) can save you money, be sure that you consider all of the costs. Get quotes from several rental companies and be sure you're comparing "apples to apples," such as mileage limitations, overtime fees and drop-off charges if you're driving to a distant location. Also be sure to budget for the cost of a long-distance trip if applicable - gas, tolls, food, other travel expenses. You'll also need to consider any additional equipment needed: a dolly/hand truck, a hitch for your vehicle and packing supplies. Adequate insurance is important even with do-it-yourself moves. You'll want to talk with your insurance provider about coverage for the rental truck, as well as your belongings in case of an accident. If you're not able to move and carry all of your belongings yourself, you'll need to recruit help, which could be family members or friends, but consider that you may need to hire workers to move heavy/bulky items, especially if your new home is located far from family and friends. 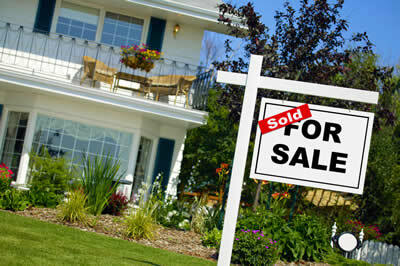 Get referrals from your realtor, company relocation department and friends who have recently moved. Contact several companies to get quotes for your planned move. Again, be sure that you're comparing "apples to apples." Be sure to ask about whether packing services and materials are included and if there are additional charges for stairs or elevators, an excessive distance from your home to the truck or particularly heavy/bulky items. When you're ready to select a company, get a binding estimate so there are no additional, unexpected charges on moving day. The Federal Motor Carrier Safety Administration website is a valuable resource where you can search for moving companies, see complaint histories, and get detailed information about your rights and responsibilities when you move. Talk with the moving company and your insurance provider about coverage for your belongings while they are being packed, moved and unpacked. Be sure to have a complete inventory of your packed items before the truck pulls away. Deciding whether to move yourself or hire help is more than a simple cost comparison - be sure to consider your budget, your time and your physical capabilities to make the right choice for you. Learn more about forwarding mail and change your address online. A big part of making your move less stressful is being prepared. Starting eight weeks ahead of moving day gives you time to get things organized in the home you're leaving as well as preparing your new home for move-in. This downloadable weekly checklist is a great guide to help you stay on track and on schedule.